Blogging is my passion but it takes a lot of time to decide what you’re going to write about, and taking the time to make sure that the subject matter is going to help your audience. More people will look at what you have to offer if you have some eye-catching images. I was searching for an image for one of my posts and found one that I thought would be perfect. The only problem was it was $33 and I was not about to pay that much and you probably feel the same way. This is where PLR comes in handy and everything is bundled together. You have articles, reports, images, and infographics right at your fingertips. There are endless ways to use this content and as a blogger, I appreciate being able to put a quality post together in half the time. People are interested in self-care because with all the crazy stuff happening in the world, it’s a way to take care of your mind and body. Grab this Self-Care PLR Mega Bundle Today! One of the cool parts of this Self-Care PLR Mega Pack are the 12 high-quality articles. All our articles are professionally written and edited. You have all the information to turn these articles into reports or an e-book. Grab This PLR Self-Care Bundle Today! 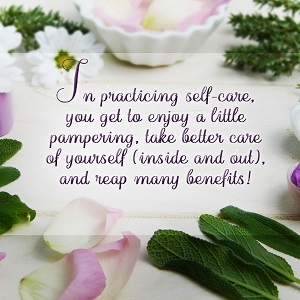 When you think of self-care many people might think it is doing something nice for yourself, like a relaxing pedicure or massage. That is certainly part of self-care, but let’s think outside the box and talk about what self-care really means. Quality of life as a whole is affected by balancing output and input. If your output is greater than your input, you probably aren’t functioning at full capacity. It’s similar to only putting enough gas in the car to get through the task at hand. When you practice self-care, your tank remains equipped to fulfill that which you are demanding each day. Purchase this Self-Care PLR Pack Today! •	Self-Love Report- 2,481 words with 16 pages. Share this with your list. Turn articles into blog posts with colorful images. If you are in the health or self-help niche, this pack is perfect for website content. When you try to create infographics on your own, it can really blow a hole in your budget. You don’t have to worry about that. Use these 3 Full-Size Colorful Infographics and look like an authority in your field.